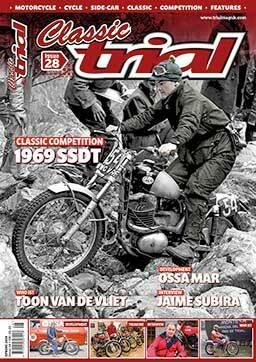 CLASSIC TRIAL MAGAZINE ISSUE 19 – TIME FOR A BREW! 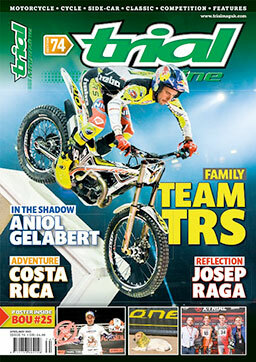 It’s that time again for all the subscribers to Classic Trial Magazine, Yes Issue 19 should be dropping through your letterbox later this week and inside you will find all your Classic Trials News, Action, Events, Tests and so much more for you Classic – Retro addicted trials junkies who need the motorcycle fix. It’s time for a brew a beer or maybe a wine for the ladies so park your feet up sit back and enjoy the read! Classic Machine: An in depth look at the Jefferies Honda Four-Stroke. Classic Competition: A look at the 1966 Northern Experts. Focus: Debbie Evans at the 1978 SSDT. Showtime: We look at the machinery available in 1967. Test: The Majesty Yamaha 175cc. How to Ride: Sammy Miller explains how to ride – Water! Special: Would you believe it a four-stroke Bultaco? Workshop: Fitting Rear Shocks and Reed Valves with Heath. Sport: The 2016 Kia British Twin-Shock Championship. Culture: The Claydon Cup – Find Out More! Why not purchase someone a subscription for Christmas? It’s a gift that will last for four issues over the year not just one day. Go straight to www.trialmaguk.comand subscribe today. On the website you will also find a selection of books, a 2017 calendar and the DVD collection.